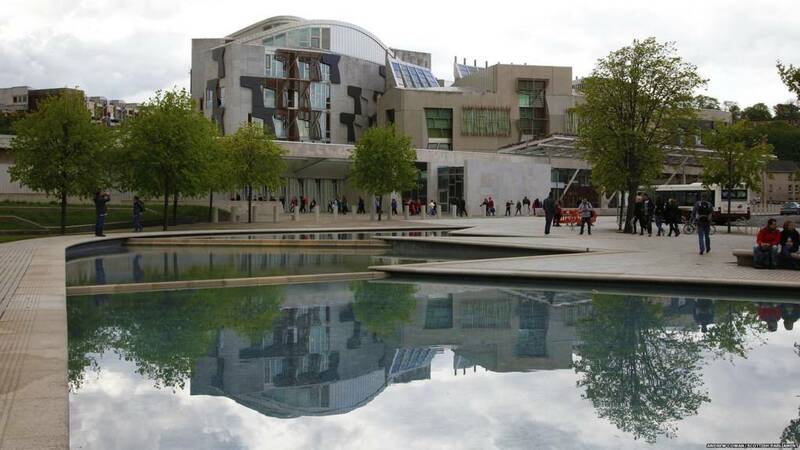 That's all from Holyrood Live on Tuesday 26 March 2019. Transport Secretary Michael Matheson told the chamber ScotRail could be stripped of its franchise if it fails to meet the targets in its remedial plan. The company unveiled a £18m plan to try and improve its performance for passengers - formally known as the ScotRail Remedial Plan. Staff shortages have caused the cancellation of thousands of ScotRail services since April last year. Business and Fair Work Minister Jamie Hepburn reminds the chamber any one of us could fall victim to a scam. Mr Hepburn says in March last year a review on the financial cost of scams to the Scottish economy was commissioned. He insists the Scottish government has provided Crime Stoppers Scotland with money to support people and reduce the likelihood of criminal behaviour. The minister also highlights the government's work with Trading Standards, Citizens' Advice Scotland and Young Scot to tackle scams. He also highlights The Little Book of Cyber Scams. A new banking scheme claims to have stopped people being conned out of more than £1.5m in its first five months. The protocol involves bank staff alerting police to potential victims of fraud. It kicks in if someone asks to withdraw or transfer an amount of money which appears unusual to a bank worker. Police said they had responded to about 250 calls and made a number of arrests since the scheme was introduced in March. A Royal Bank of Scotland customer had more than £4,300 stolen from her account by a fraudulent caller who answered one of her security questions wrongly, BBC Watchdog Live has found. For more than a year, the bank insisted Charlotte Higman had been aware of the transaction and refused to refund her. The Financial Ombudsman Service (FOS) backed RBS after the initial complaint. But earlier this month, RBS apologised and issued Charlotte a full refund, after Watchdog Live's investigation. Almost a third of elderly victims of fraud have been too embarrassed to tell their own families or friends what happened to them, say researchers. A report from the Centre for Counter Fraud Studies warns of the "stigma" felt by elderly people about being cheated, including online scams. It warns that the over-65s are three times more likely to lose money to fraudsters than to be burgled. Fraud victim, Dolores Walker, aged 93, said it made her feel "ashamed". Scammers in south west Scotland conned people out of "many hundreds of thousands of pounds" last year, say police. A financial harm strategy has now been launched in Dumfries and Galloway to try to tackle the issue. Police said everyone had to work together to stop what was "fast becoming a tide of criminality". A plan to raise awareness and share information between organisations has now been put in place. Labour MSP Jackie Baillie says while scams are not new, modern technology has increase their prevalence. We don't discuss this issue enough, she states. Ms Baillie highlights how common fake ticket scams are, which often impact young people on low incomes most. "It is never the fault of those victims that have been scammed." We need to use all the tools at our disposal to crack down on the culprits the Labour MSP concludes. A joint scheme involving Police Scotland and the banking sector prevented almost £5.5m of fraud last year, according to the force. The so-called Banking Protocol scheme also saw 19 arrests made. The system was set up to identify and protect potential victims of fraud quickly. Police said most of the potential victims were over the age of 65, with scams ranging from romance fraud to rogue traders. Background: How common are scams? The average loss for scam victims aged 75-79 was £4,500. 7 out of 10 people who are targeted by a scam do not tell anyone about it including friends, family or organisation being impersonated. Scammers often target people who are isolated and disconnected from their community or others. Age Scotland research has highlighted that 200,000 older people in Scotland go at least half a week without a phone call or visit from anyone. This is the equivalent of at least two people on every street. Around 900,000 people in Scotland live alone. This accounts for nearly one third of Scottish households. Mr Corry points out almost everyone will have been exposed to a financial scam and they are getting more sophisticated. The Tory MSP tells the chamber of his own experience of an attempted scam over the weekend. He adds: "Basically they are really at it." Mr Corry says the scammers target the old, those with dementia and other vulnerable groups. We have a responsibility in the Scottish Parliament to protect our citizens from these scams, he says. The Tory MSP says Trading Standards are at breaking point and lack funds. Tory MSP Maurice Corry is leading this next debate on financial scam prevention. His motion highlights scammers cost UK consumers over £9bn per year, with older and more vulnerable citizens often being targeted.